Staff & Employee Management System Software module helps to manage all the information about their employees along with employee’s leave and salary. With a single click, the employee details can be extracted in Advanta Rapid ERP. This module keeps detailed information about staff like photographs, qualification, and experience, any references, salary, address, contact information, marital status, maintain attendance details of staff. This software has the facility to track and analyze the performance of staff. This software also prepares essential reports like staff details, academic performance report, staff attendance details, attendance register. This module helps to maintain staff leaves with accuracy. Staff management also manages the details for ex-employees and employees who have transferred. This module also manages teacher’s syllabus with date, subject, chapter, and status. Calculation of staff salary, pay slips, deductions, allowances, PF, leave reports, etc. 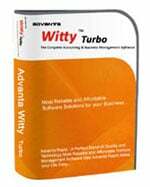 This software helps in the development of staff and work for their work allocation. This module helps to maintain data easily and it also provides facility to export staff data in multiple formats. This module ensures accuracy in payroll calculation and reduces times in preparing worksheet. 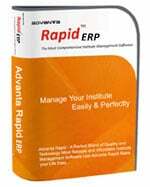 Advanta Rapid ERP school management system, college management software, and institute management software come with a good Employee or Staff management module. It allows you to manage all the staff details like their personal details, login details, define salary and leave-structure. With Advanta Rapid data is easily stored and it eliminates time and number of manpower involvements. Advanta Rapid system provides a complete staff management solution to work efficiently and streamline the institution working. In Advanta Rapid, you can get customized reports, notification given to staff via email, messaging regarding attendance, salary, holidays and events. This software has the ability to track and analyze best performing staff throughout the academic session as an individual/group. It keeps a record of attendance for the particular session including leaves taken by the staff member, no. of working days, and no. of days present.With Staff Management module you can easily track staff’s performance, their behavior/or attitudes, etc. With Staff Management module you can easily track staff’s performance, their behavior/or attitudes, etc. This module will track the details of staff on the basis of classes or session taken on the daily and monthly basis.This will help to schedule timetable, staff logbook in which it will clear state about lesson plan: subject name; topic, status, etc. This will help to schedule timetable, staff logbook in which it will clear state about lesson plan: subject name; topic, status, etc. Need more information on Staff & Employee Management System Software? Contact us for a free demonstration of Staff & Employee Management System Software.